Thinking about adopting the South Beach Diet? Who hasn’t heard about the South Beach Diet? Since its introduction a decade ago, The South Beach Diet handbook has reached over 5 million copies sold, thanks to viral marketing propelled by various celebrities. The South Beach Diet is one of the best-selling diet guides to date, and at this point, it’s hard to consider The South Beach Diet as a diet fad. 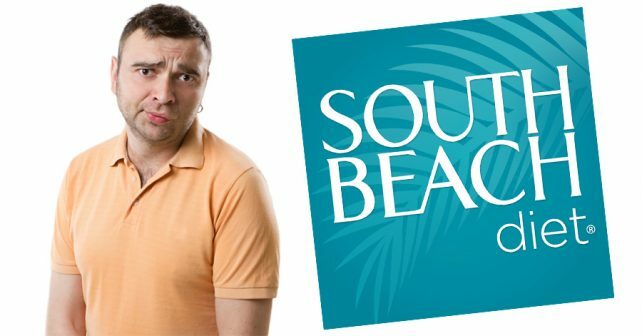 Ask anyone who is on the South Beach Diet and they’ll tell you that the first phase is the most grueling part of the entire diet. On the first phase, you’re restricted to only a few food groups, and you can’t eat rice, potatoes, and pasta. It’s normal to experience intense cravings on your first days on the diet since your body is still adapting to your new diet. The first phase is also where most aspirants quit, so make sure that you’re completely motivated before going on the South Beach Diet. The South Beach Diet allows you six meals of the day. Three main meals (breakfast, lunch, and dinner), two snacks, and one dessert. This is designed to keep hunger pangs from interfering with your diet. There is one drawback, though. Unless you follow the diet to the letter, the six-meal format can actually increase your weight. You must stick to the serving recommended by the diet to experience real benefits. The South Beach Diet is patterned over your body’s Glycemic Index, or how food impacts your blood sugar. People who suffer from diabetes would need to ask their Diabetes specialist for advice, since diabetics not only experience hyperglycemia, but also hypoglycemia. Your doctor would need to evaluate your diabetes medicine if it fits the diet in order to avoid drastic drops in blood sugar. Since phase 2 is more liberal than phase 1, some people on the South Beach Diet experience a relapse of their unrestricted diet once they enter phase 2. Once they get a taste of the food they haven’t been on for two weeks, they might ditch the diet altogether. Make sure that you stick with the program even if the phase is more liberal. The South Beach Diet is a cycle that allows you to drastically lose weight during phase 1, and slow down your weight-loss progress on phase 2, and increase your risk of regaining the lost body weight on phase 3. The book recommends that you re-do phase 1 once you start gaining weight. The South Beach Diet, like many other fad diets, are just a temporary solution to lose weight. If you want a real and long-term weight management plan, use the best fat burning pills like Garcinia X. Garcinia X has natural appetite suppressant capabilities combined with a fat burning process that converts fat into bioavailable energy before it gets stored in your system.